That star print pattern we have seen everywhere over the last few months and hey here I am jumping on the bandwagon in full force. Oh Hi there I’m Erin one of the new bloggers for Best Dressed Secret. I am here to show you all the best bits BDS has to offer and a little more, so stay tuned for more posts by me! 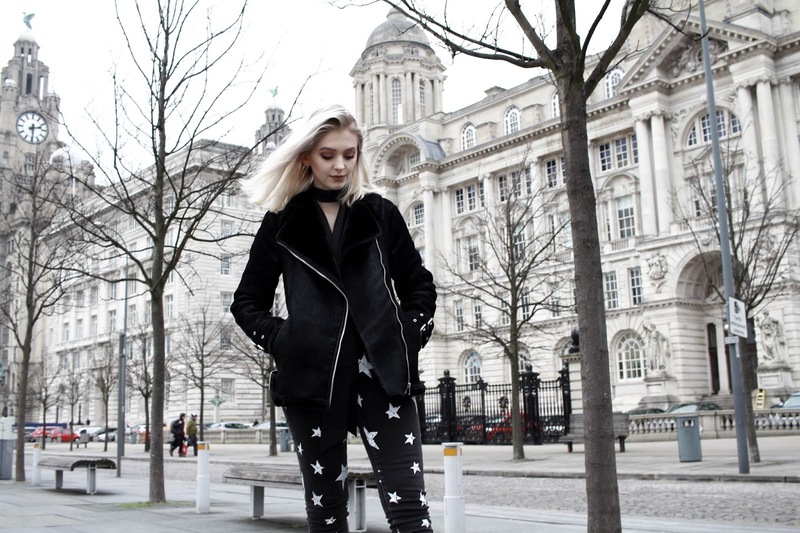 Today I am going to show you guys how you can steal Kate Moss’ style with these incredible Star print jeans only £9 in sale at the moment. Direct link here HERE! As you may have seen if you follow us on insta – ‘bdsecretcom’ we here are star struck over Kate wearing star print jeans and if it’s good enough for Moss it is good enough for us. These make the outfit and can be both dressed up or down depending on your own style. I personally could dance all night in these because of the stretch but not be fooled these aren’t leggings they are a super good quality of jeans with an amazing stretch so don’t worry. The stars are also a little worn which I like as it adds a little to my love for grunge. Previous Post Balancing Student Life!